In December of 2008 I found my father unable to make his way up a flight of stairs by himself. He felt weak on one side than the other. We were fearful of a stroke. The hospital assessed him and ordered an emergency CT Scan and MRI. This was no stroke. They said they found something “deep within the brain”. Within a day or two a biopsy was performed, they poked through my father’s skull and brain in order to take a sample of the tumour. I still remember the face of the intern who told us based on his type of tumour she expected he had no more than a few months to live. These were the worst days of my life. Bikers Against Brain Cancer is an organization with the goal to “educate every man, woman and child as to what brain tumours are and how we can best defend ourselves against it as well as collecting funds toward the research and development of better drugs and medicines toward eventually finding a cure.” The organization was founded by Paul Poirier, a motorcyclist and chiropractor who has endured multiple operations for malignant brain tumours. Thanks to some miraculous combination of prayers, love, God, doctors, chemo, radiation and dramatic lifestyle changes my father is back on his feet. He has been off chemo since June of 2010. 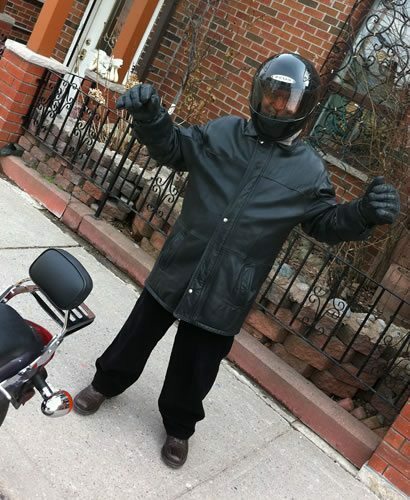 This week he went for his first motorcycle ride in twenty years, as a passenger on the backseat of my bike. It meant the world to me. Thank you to my friends, family and Ashley, for your support and seeing me through the darkest of times. Thank you most of all to my Dad, for getting better, looking after himself, and coming for a ride. 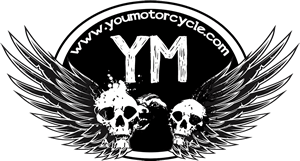 We’ll be attending at least one Bikers Against Brain Cancer ride this season. Please share this with other riders and join us.